A trademark (TM) is quite simply an identifying mark that distinguishes one person's product (whether it's goods or services) from those of another. These identifying characteristics will mostly be represented visually, although sounds or smells can also qualify. It can be a brand name as well as the logo or a slogan associated with it, a color, shape of a container, a pattern or an architectural element. The name of a character in a book may also be protected by a TM. Anything which will limit the development of goods or services. Note: If you have registered a trading name for your business, it does not follow that it is also registered as a trademark. Registering a trading name is for the benefit of the government, whereas registering your trading name as a TM (a separate process), is to protect your intellectual property of that name. Having said that, you can not register a company name if it already exists as a TM belonging to someone else. The first requirement for registering a mark is that you must be the legal owner of such a mark, that you are using the mark already or that you have bona fide intent to use the mark. Unlike registering a domain name without ever building a web site, a mark that is not being used becomes abandoned and registration is canceled. 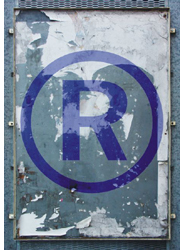 Trademark law requires proof of the use of a mark. However, you do not have to register your mark. The fact that you are publicly using the mark establishes your ownership and rights, which are strengthened the longer and more widely the mark is used. 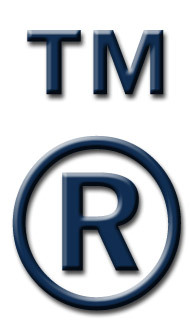 You can freely add the TM (trademark) or SM (service mark) symbols to show that your reserve your rights, but you can only add the ® symbol or the words Registered Trademark after registration. To create the  unregistered symbol, hold down the Alt key and type the numbers 0153 i.e. Alt+0153 or Option+2 on a Mac or use the html code & #0153; (without any spaces). To create the ® registered trademark symbol, hold down the Alt key and type the numbers 0174 i.e. Alt+0174 or Option+R on a Mac or use the html code & #0174; (without any spaces). Furthermore, being unique is critical. It must not be similar, derived from or an imitation of an existing mark (where there is a likelihood of confusion). The difficulty is to ascertain whether a similar mark exists. Apart from doing searches for registered marks or pending registrations, you also need to confirm that an un-registered mark is not in use. A trademark can last forever, provided it stays in use and in the case of a registered mark, the renewal fees are paid. A trademark can have a monetary value which can be assigned or licensed or franchised. You should take formal steps to secure your legal rights and ownership of your intellectual property. Explore the guidelines available on these pages and then consult with an attorney to assist with the complete management of your Intellectual Property portfolio.